Blog Quick Quotes: Quick Quotes and Want2Scrap Inspiration Week - Day 6! Quick Quotes and Want2Scrap Inspiration Week - Day 6! Hello and happy weekend to all of you! 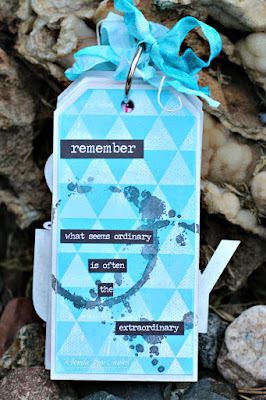 It's Rhonda here today to share my project featuring Quick Quotes and Want2Scrap products. 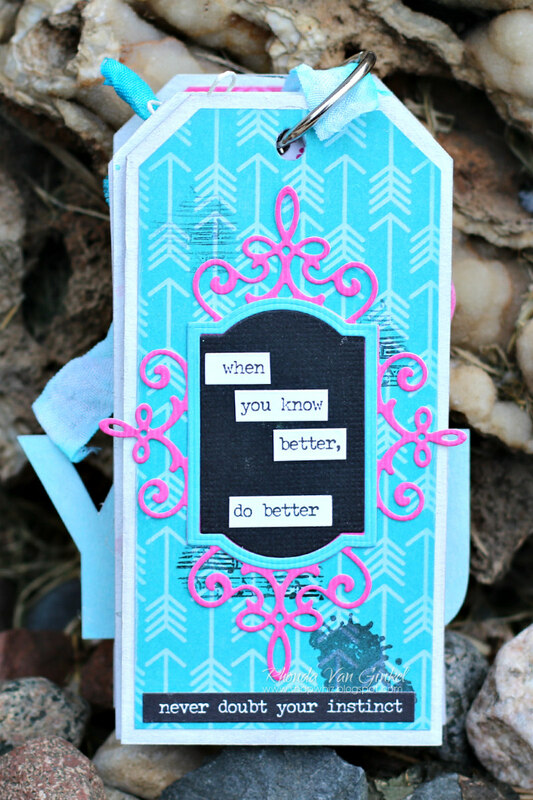 The title here is a Chipboard Quote from Want2Scrap which I base coated with white acrylic paint, then added color using my PowderPuff Chalk Inks. 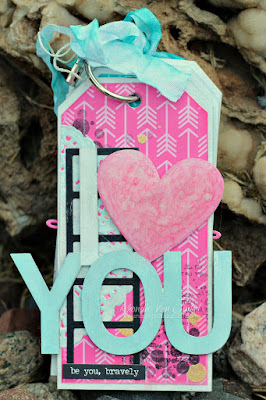 To get my crisp lines, I used bits of washi tape to mask. 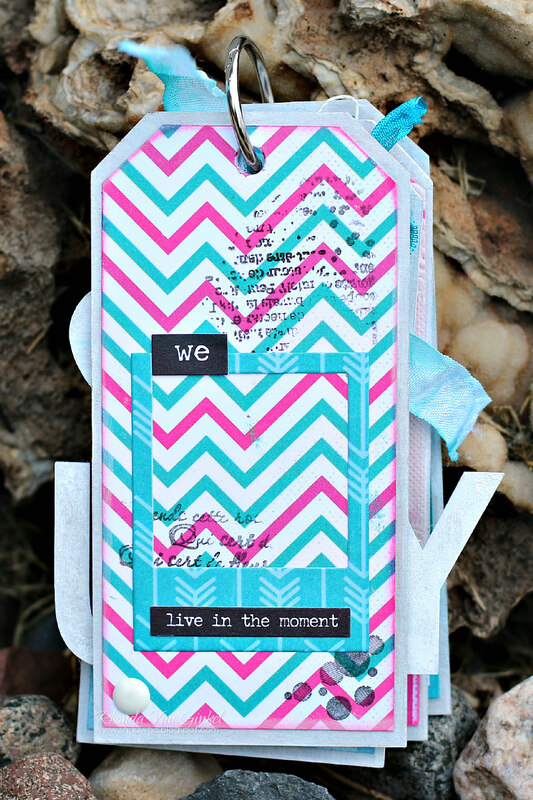 As you can see, I also base coated my Tag Mini Album with white acrylic paint as well, then cut my layers from the pretty Winter Bliss Papers. I trimmed them 1/8 an inch smaller than my traced shape, then inked with some PowderPuff Chalk Ink for definition. A bit of stamping randomly with Midnight Confessions and some of my favorite script and texture stamps added some interest. More stamping, I also really enjoyed the idea of making this an inspirational album, so I've used some stickers here from my stash. 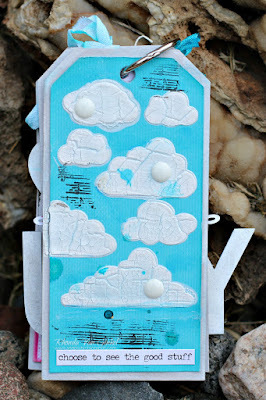 I used my Clouds Stencil for this page along with crackle embossing paste, a bit of ink splatters and stamping here. 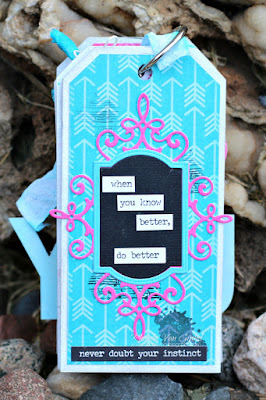 I mixed up a few elements here and included some washi and rub-ons from my stash. 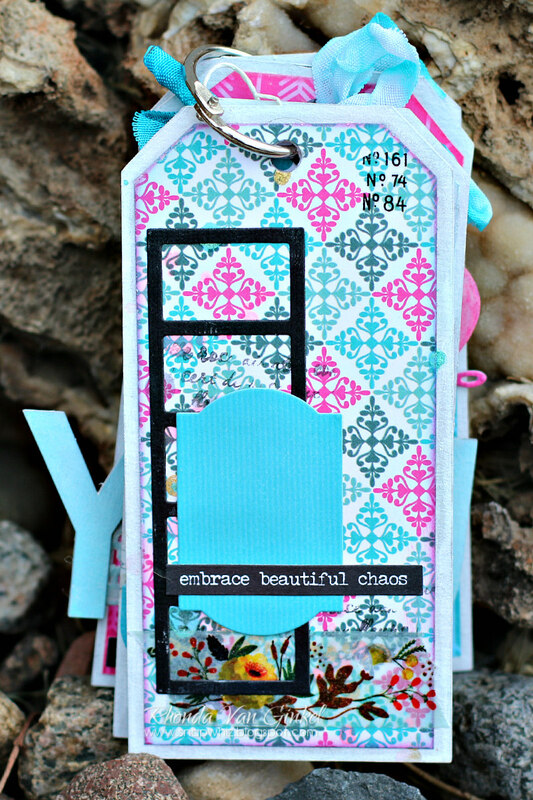 I loved creating this project, it came together so easily with all of the wonderful products from Quick Quotes and Want2Scrap! Winter Bliss Papers: 100, 101, 102, 103, 104 coming soon! Thank you for stopping by and spending a few moments with us here on the blog today! Amazing tag album, Rhonda! Love how each page is so unique and pretty. 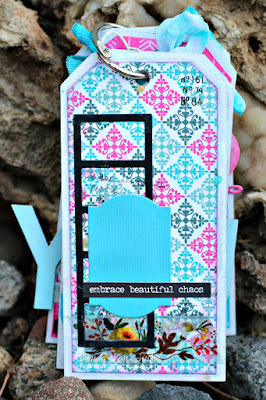 QQ's Winter Bliss is such a fun collection and the Want2Scrap embellishments work fabulous with it. 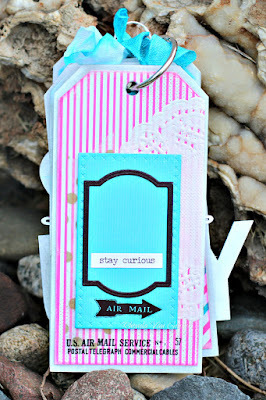 Love the color of these tags! Such a creative way to add texture to the clouds!